These Czech glass beads feature a round shape with two stringing holes. They are slightly domed on the front and flat on the back, so they will lay nicely in your designs. They're an excellent option for bead weaving, stringing, and other projects. Add these beads to your designs for a deliciously sweet look. 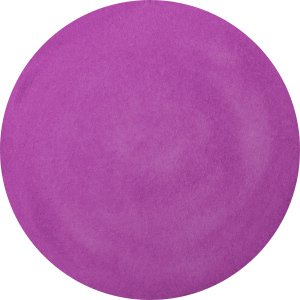 These beads feature a lovely purple color with a soft pearlescent sheen. Each strand includes approximately 22 beads. This item is handmade, so appearances may vary. These Czech glass beads feature a round shape with two stringing holes. They are slightly domed on the front and flat on the back, so they will lay nicely in your designs. They're an excellent option for bead weaving, stringing, and other projects. Add these beads to your designs for a deliciously sweet look. These beads feature deep purple color with a subtle bronze gleam. These Czech glass beads feature a round shape with two stringing holes. They are slightly domed on the front and flat on the back, so they will lay nicely in your designs. They're an excellent option for bead weaving, stringing, and other projects. Add these beads to your designs for a deliciously sweet look. These beads feature dark purple color with a soft sheen. These Czech glass beads feature a round shape with two stringing holes. They are slightly domed on the front and flat on the back, so they will lay nicely in your designs. They're an excellent option for bead weaving, stringing, and other projects. Add these beads to your designs for a deliciously sweet look. These beads feature soft purple color with a delicate pearlescent sheen. These Czech glass beads feature a round shape with two stringing holes. They are slightly domed on the front and flat on the back, so they will lay nicely in your designs. They're an excellent option for bead weaving, stringing, and other projects. Add these beads to your designs for a deliciously sweet look. These beads feature black color with a brown and purple gleam on the front. Stand out with magical color using these candy beads. These Czech glass beads feature a round shape with two stringing holes. They are slightly domed on the front and flat on the back, so they will lay nicely in your designs. They're an excellent option for bead weaving, stringing, and other projects. Add these beads to your designs for a deliciously sweet look. They feature a metallic gleam filled with purple, blue, and copper tones.